To earn an actuarial credential in Malaysia, students must complete a series of actuarial examinations, e-Learning components and other requirements through an actuarial membership organization such as the Institute and Faculty of Actuaries (FIA), UK or the Society of Actuaries (SOA). The path to becoming an actuary in Malaysia for students after SPM or high school involves going through a structured education plan. First, students will obtain university-level education and then post-university examinations, as well as other requirements. One must pass the actuarial professional examinations and various on-the-job assessments. A normal actuarial studies degree spans 3 years. Thereafter, completing the professional exams may take another 3-7 years (considering working full-time while studying). Students should choose the best university in Malaysia for actuarial science to prepare them well to face the professional exams. Students after SPM or O-Levels with at least 5 credits including the relevant subjects may enter the Foundation in Business or Foundation in Arts for 1 year before continuing on to the Actuarial Studies degree. Pre-University graduates in Malaysia from programmes such as UEC, STPM, A-Levels, SAM, CPU, AUSMAT and others may enter directly into the Actuarial Science or Actuarial Studies degree providing they meet the minimum entry requirements. Outstanding private universities in Malaysia for Actuarial Science or Actuarial Maths degree are Heriot-Watt University Malaysia, Asia Pacific University, UCSI University and Taylor’s University. Students can consider studying the BSc (Hons) Actuarial Science at UCSI University or obtain a Staffordshire University, UK degree locally in Malaysia at Asia Pacific University graduating with the BSc (Hons) Actuarial Studies. Students will receive a dual award University of the West of England, UK degree at Taylor’s University for the BSc. (Hons) Actuarial Studies. Taylor’s University offers a 3-year and a 4-year Actuarial Studies degree programme. The 1-year internship is offered in the third year of the 4-year programme, students have the opportunity to broaden their knowledge and gain industry exposure that will help them excel in their final year of studies. The best university in Malaysia for Actuarial Science would be Heriot-Watt University Malaysia where students can get 8-paper exemptions out of 15 needed to qualify as a Fellow at the Institute and Faculty of Actuaries (FIA), UK. As well as developing a core understanding of mathematical and financial concepts and statistical methods, you can gain exemption from eight of the Core Technical subjects (CT1 to CT8) of the professional examinations of the Institute and Faculty of Actuaries. 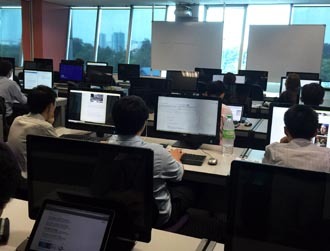 The Actuarial Science degree programme at Heriot-Watt University Malaysia also provides a good foundation for the later Core Technical subjects. By obtaining the full set of exemptions available during your degree, you could considerably reduce the time it takes you to qualify as an actuary. The Actuarial Science degree program at Heriot-Watt University Malaysia will give you 8 paper exemptions from the Core Technical Subjects which are CT1 to CT8. This means that Heriot-Watt University Malaysia Actuarial Science graduates need to take 7 more of the professional examinations plus relevant work experience to become a qualified Actuary (Fellow) in Malaysia. This will be the fastest pathway to become an Actuary in Malaysia. programme is world-famous for its excellence. It contains all the courses that are essential for ensuring a flying start to a career as an actuary whilst at the same time fostering highly transferable mathematical skills. 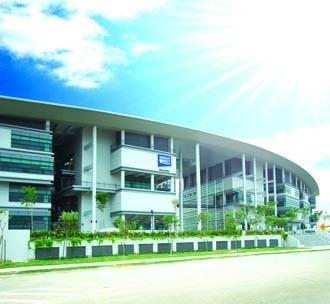 Heriot-Watt University Malaysia Bachelor’s degree mirrors the highly successful BSc Actuarial Science degree offered in the UK, which is accredited by the UK Actuarial Profession, something only a handful of programmes in the UK have achieved. 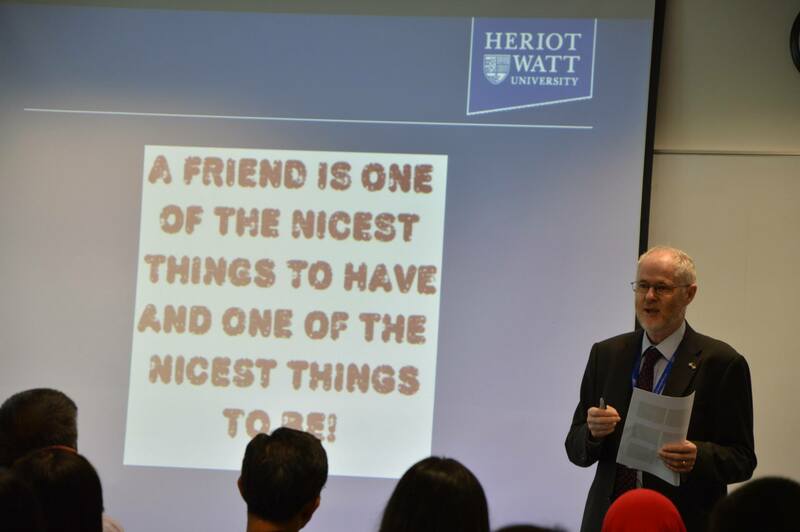 In accordance with Heriot-Watt University’s normal practice, their professionally orientated programmes are designed to meet the educational requirements for membership of relevant professional institutions. In addition to recognition within Malaysia, the university seeks accreditation by the relevant UK or international professional bodies in accordance with their standard procedures. This Bachelor’s degree mirrors the highly successful BSc Actuarial Science degree offered in the UK, which is accredited by the UK Actuarial Profession. It is expected that the programme in Malaysia will also offer exemptions from all Core Technical subjects, CT1 to CT8, for students performing sufficiently well. This can significantly reduce the time taken to qualify as a Fellow of the Institute and Faculty of Actuaries. Graduates from Asia Pacific University will receive a dual award, one from APU and the other from Staffordshire University, UK. After completing the Foundation in Business & Management, students will enter the BSc. (Hons) in Actuarial Studies at APU. Uniquely at APU, graduates will receive dual degrees, one from APU and the other from Staffordshire University, UK. 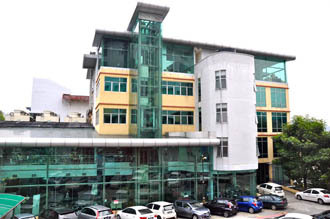 The qualification is recognised internationally and the collaboration approved by the United Kingdom Quality Assurance Agency’s (QAA); the Ministry of Education of Malaysia; and the Malaysian Qualifications Agency (MQA). Since its inception in the early 1900s, Staffordshire University has evolved into one of the country’s most dynamic, progressive and forward-thinking learning institutions. A modern, fast-paced, vocationally-led University with 100 year’s experience of pioneering higher education within the creative, technological and scientific industries. Students can opt to transfer to Staffordshire University for the final 2 years or final year of studies for a UK experience. While working, they continue to sit and pass the remaining professional exams, eventually becoming qualified actuaries in their chosen specialisation in various areas such as Corporate Finance and Enterprise Risk management, Individual Life and Annuities, Group and health Insurance, Retirement Benefits, Quantitative Finance and Investment, and General Insurance. APU graduates will also acquire the essential leadership qualities, work in teams, communication skills, problem solving abilities, critical thinking, as well as entrepreneurial and managerial skills that will enable them to face the challenging and exciting world today. Actuaries usually work primarily for the insurance industry. They are also highly sought after by other sectors such as private corporations, banks, financial institutions and investment firms, brokerages and even government department such as Bank Negara also requires actuaries in risk management and financial consulting services. APIIT & APU had continuously wins awards for excellence in education, research and development and for the achievements of their students. Students interested to register at APU may go to this link. Statistical Investigation module forms the basis for later statistics options. Linear Algebra, Calculus, Discrete Mathematics, Probability Models and Statistical Inference are introductory level courses designed to prepare students for using mathematics & statistics in other contexts. 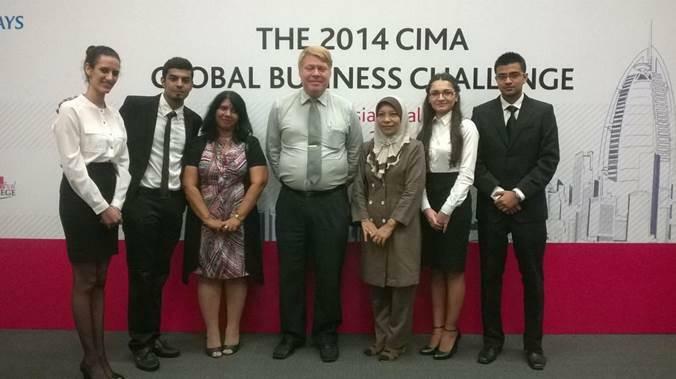 Economics will provide students with a better understanding of the Business Environment. Financial Accounting skills and the core principles underlying financial theory will be introduced in this level which will be enhanced in the higher level. Business & Communication Skills will further equip students with the communication skills required to cope with academic demands of degree level study in all disciplines. This level looks at applications of mathematics and statistics in the Financial & insurance sectors. The modules offered will cover techniques for the analysis of results from experiments and surveys where students will be doing modules like Regression Analysis, Time Series & Forecasting, Life Contingencies as well as Linear Programming. Modules such as Financial Mathematics, Financial Planning & Control, Financial Statement Analysis and Financial management will allow students to explore finance in greater depths, both at the planning and management aspect. construct asset liability models and to value financial derivatives whereas Life Contingencies module will provide students with a grounding in the mathematical techniques which can be used to model and value cashflows dependent on death, survival, or other uncertain risks. Ethics & Corporate Governance will also be taught in this level to provide students with relevant knowledge, skills and professional judgment in which companies are directed and controlled. would enable students to experience the culture and ethos of a working environment and formal employment. Students will benefit from seeing how the skills and knowledge acquired are applied in a practical setting. modules will further enhance the knowledge of an individual to plan, manage, and analyze the financial and monetary aspects and performance of business enterprises, banking institutions or other organisations. Insurance Practice and Survival Analysis modules introduce students to a wide range of concepts and terminologies in insurance providing students with basic skills of calculating various insurance related items. Introduction to Stochastic Process will introduce students to a range of stochastic process which are used as modeling tools in diverse fields of applications. Students will also carry out an individually researched project and their own investigations into areas related to investment, finance, commerce or insurance. Actuaries in Malaysia are professionals dealing with the financial impact of risk and uncertainty. Actuaries use their skills in mathematics, economic, computer science, finance, probability and statistics, and business to assess the likelihood of occurrence of certain risky events formulate policies that minimize the cost of these risks. 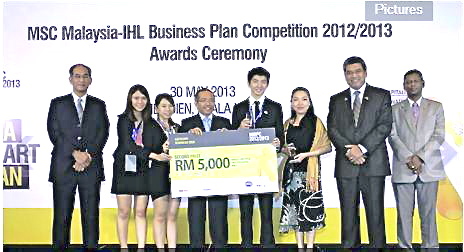 As such, actuaries are essential to the insurance and reinsurance industry in Malaysia. In addition, they can be consultants to other businesses, including sponsors of pension plans; and to government agencies such as Bank Negara Malaysia. Students after SPM or O-Levels will need at least 5 credits including Maths to enter the Foundation in Arts at UCSI University for one year before continuing on to the Actuarial Science degree course. Scholarships are available to deserving students for the Foundation and degree programmes at top ranked UCSI University. Students interested to join UCSI University may apply online to register. As testament to UCSI University’s efforts, they have students who passed three to five preliminary exams when they were still in their second year. This is a remarkable feat. Chan Min Zhuo, Actuarial Science degree student at UCSI University, is one of the few local students who passed three of the five preliminary exams required in 2 years regulated. Chan has now passed all 5 preliminary papers. One must pass professional examinations and various on-the-job assessments, in addition to obtaining a degree. There are not many universities in Malaysia that offer the degree in Actuarial Science. 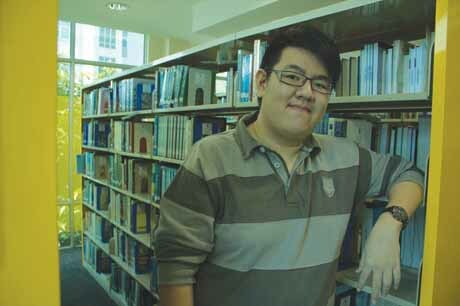 Teoh Wei Jing, a UCSI Actuarial Science student from SMJK Jit Sin has completed 5 Society of Actuaries (SOA) Professional Papers before entering into the 3rd Year of his degree studies. Another student, Chong Kim Sin, a UCSI Actuarial Science student has completed 5 Society of Actuaries (SOA) Professional Papers before entering into the 3rd Year of his degree studies. There are very few students in the whole of Asia who have passed five SoA examinations before the third year. 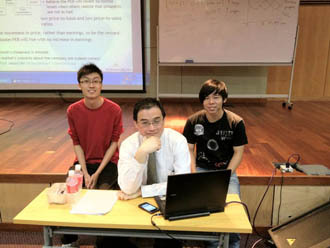 This makes Chong Kim Sin among Asia’s crème de la crème for actuarial science. Currently, Chong Kim Sin has passed the Probability (P), Financial Mathematics (FM), Actuarial Models: Financial Economics (MFE), Actuarial Models: Life Contingencies (MLC), as well as the Construction and Evaluation of Actuarial Models (C) examinations. He now has only two components left before qualifying as an Associate of the Society of Actuaries (ASA); the Fundamentals of Actuarial Practice (FAP) and Associateship Professionalism Course (APC). Other top UCSI students Xie Chun Xiao, Angie Ng Mei Sean, Christopher Low Jia Iuan, Callie Loh, Hon Li Yen, Ham Khai Chung, Ngew Chee Hong Anthony, Tan Khe Han and Wong Mei Chin have completed 4 preliminary SoA examinations before the third year. 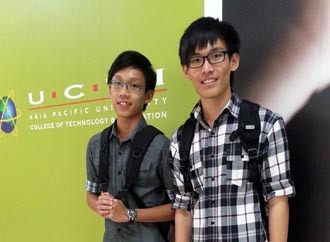 Understanding the profession’s stringent requirements, UCSI University sought the knowledge and experiences of Dr Ngerng Miang Hong and Dr Toh Kian Kok to manage and design its BSc (Hons) Actuarial Science.To study Actuarial Science in Malaysia, students should choose a university that best equips them with the knowledge and skills to succeed in actuaries. The result: A course that provides students with a world-class degree in line with the requirements of the Society of Actuaries (SOA) – the largest professional organisation for actuaries in the world. On top of that, the course also grooms students to have the rigorous capacity to ace the professional examinations they are required to sit for. 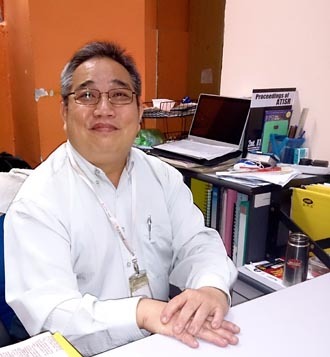 “Students require only three years of full-time study to prepare them for the professional examinations and on-the-job assessments during the span of their careers,” says Dr Toh, who is the Dean of UCSI University’s Faculty of Business and Information Science. Students wanting a top rated business degree can go for the Bachelor of Science (Hons) Actuarial Studies UK Dual Award degree at Taylor’s University. Students will receive a degree from Taylor’s University as well as the top ranked University of the West of England, UK. These are just some of the reasons that Taylor’s University is one of the best universities in Malaysia for you to study the degree in Actuarial Studies. Beyond providing a comprehensive programme, Taylor’s University further enrich the educational experience through various learning opportunities to help students get the most out of their studies. A distinctive feature of our Bachelor of Business (Hons) curriculum is the internship and industry immersion programme at established organisations. The internship programme aims to provide you with a deeper cross-cultural appreciation of both business practices and research, whereas industry immersion programme is specially designed to provide you with a wealth of exposure with some of the prestigious companies in the corporate world, and receive exclusive training, insights and mentorship form industry veterans. Taylor’s University students have consistently been involved in real-life business presentations and pitches, where they have gone on to clinch numerous awards and gain national and international recognition. These opportunities put their knowledge and skills to the test, and add to the repository of experiences that prepare them for business. Active participation in these events also enables students to benchmark their solutions and knowledge against their peers, while managing the challenges that come with actual business scenarios.